In 2017, Paco's Custom Stone & Tile expanded to become a full service company by opening Paco Tile & Flooring Gallery, located in Hendersonville, NC. The showcase allows homeowners to see a large variety of tile and flooring, and are assisted by a knowledgeble team to make informed choices. In addition to tile and flooring installation, Paco Tile & Flooring Gallery offers maintenance for tile and hardwood flooring. Give us a call to learn more about our maintenance services, including small repairs. We are also planning on adding countertop installation in 2019. 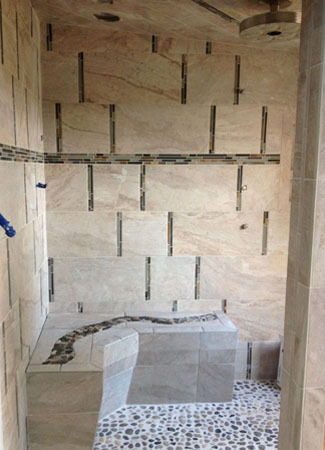 Offering a full range of bathroom and kitchen renovations, including flooring applications, Paco Tile & Flooring Gallery's creativity positions the company as one of the best in the area. With a 5-year warranty and FREE estimates, homeowners can put their trust in Paco's work. Give Paco Tile & Flooring Gallery a call and see how Paco can help your vision be realized: 828.702.5674. Paco's Tile & Flooring Gallery is an authorized Schulter Dealer with a complete line of materials in stock. Along with a kitchen remodel, a bathroom remodel is by far one of the best investments a homeowner can make, and the return on investment (ROI) a bathroom remodel might produce is an important consideration. The ROI a homeowner might expect for a bathroom remodel varies, depending on how you spend your bathroom remodel dollars, and again like a kitchen, the strength of the housing market in your specific area. The Cost vs. Value Report, a joint study done by the National Association of Realtors and Remodeling magazine, provides national and regional averages. The report estimates the cost of an average home improvement project and compares it to the value it would recoup if the home sold ONE year later. Keeping in mind that a bathroom is very personal, it is our pleasure to help you work your way through all the planning, budget considerations, and decisions a bathroom renovation brings. 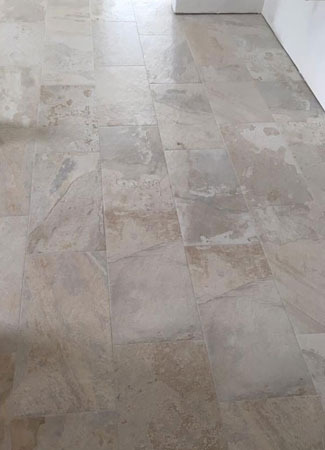 Paco Tile & Flooring Gallery has many years of experience that will help you make good choices for tile and flooring and all the other choices that create a bathroom to not only enjoy for years to come, but to also increase resale value when the time comes to sell your home. While much overlooked, flooring in a home really gets a beating. It is stomped on, walked on, stuff is dragged across it, pets travel it, have accidents on it, babies crawl on it (needing an easy-to-keep clean surface). It is an important element of a home that really needs to be done correctly. If not done right, mold can happen, wear and tear can happen. Home values can take a deep dive if the flooring is less than optimal when the home is put on the market. Give Paco a call and let him walk you through the options for your home: 828.702.5674.